Publicis New York is at the helm of these fun spots. Heineken has launched a new U.S. campaign devoted to spontaneity and those who embrace life’s random perks. "Cheers to the Unexpected" was created in partnership with Publicis New York and comprises TV commercials, digital spots, and outdoor branding. "Life isn’t about following a path," said Jonnie Cahill, chief marketing officer at Heineken. "It’s about seizing the moments we sometimes never expected. Freddy Heineken said, ‘there’s always something happening around a beer.’ With ‘Cheers to the Unexpected,’ we are bringing that to life, showcasing how beer and Heineken can bring people together, and raising a glass to the surprise moments that make life worth celebrating." 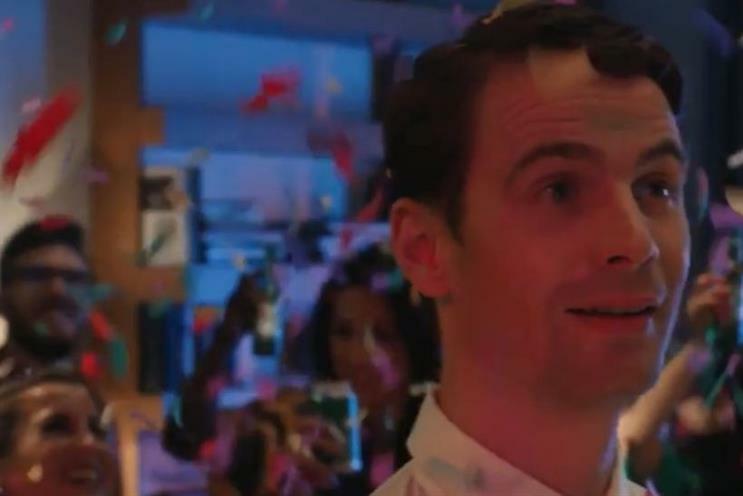 The first spot, "New Friends," debuts nationwide today, and centers around a guest walking unknowingly into a wild house celebration where he becomes the life of the party, instead of the low-key gathering he was actually invited to on the floor below. It’s married with the tagline, "sometimes the wrong party is the right one." A second spot, airing June 19 for the World Cup named "Introduction," opens with a couple staring longingly into each other’s eyes at a sports bar while a game is on. The tension between their stares rises, before the scene in zoomed out revealing a crowd cheering over a goal. The new campaign follows a PR disaster earlier this year in which Heineken was forced to pull a series of ads after it was branded "racist" by some viewers. Controversy over "Lighter is better" (which was not created by Publicis New York), centered around a scene showing a bartender slide a Heineken past several people of color before a woman with lighter skin picks it up. The words "lighter is better" then appear.